Will Disorder be the first clone of Apex Legends Mobile? NetEase started promoting its next mobile game on Monday, March 18, after announcing its development during the Game Developers Conference. Called Disorder, it is a shooting game in a world ravaged by war. At the time of writing, information about Disorder's gameplay is sparse, but there are several indications that it may be an Apex Legends Like. On its official website, Disorder is presented as a shooting game offering "a realistic and immersive experience". The game takes place in 2030 in a post-apocalyptic world that has become the scene of clashes between factions in search of nuclear weapons and resources. In the trailer and the first images of the game, we discover 4 characters who seem to have a heavy liability. Are they mercenaries or mere survivors? It's hard to get an idea. One thing is certain, these characters are armed and fighting for a cause that is dear to them. The main poster shows the 4 characters heading towards the ramp of a nuclear warhead launch. Is this the final objective? NetEase specified that these 4 characters are playable and that they each have their own weapons and abilities. Players will have to choose one of these characters to create a team of 5. The developer was not very prolific with regard to the gameplay, but it is very likely that it is a battle royale game. This is the current trend, and NetEase has a lot of experience in this area. These different characteristics and NetEase's communication suggest that Disorder is inspired by Apex Legends. NetEase was one of the first market leaders to flood the Google Play Store and Apple Store with clones of Fortnite and PUBG, even before their mobile versions were released. Will Disorder outperform Apex Legends on Mobile? A few days after the release of Apex Legends on PC, Electronic Arts announced that a mobile version was under development. The expectation is high and Electronic Arts wants to do everything possible to provide the best possible experience for players on Android and iOS: this porting requires a lot of time. The remaining period before the official release of the game is a real opportunity for other publishers and developers to take advantage of the success of Apex Legends. 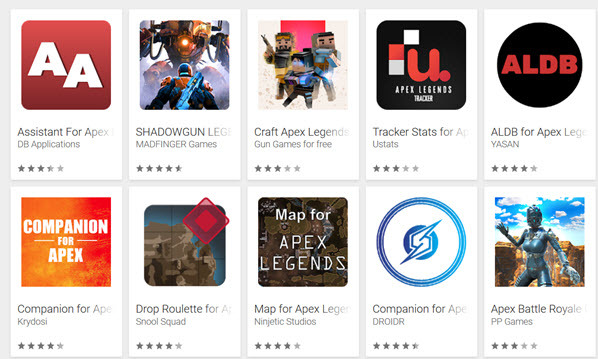 Just type the "Apex Legends" query on Google Play to realize that everyone wants their share of the cake. Opportunism in all its splendour. If NetEase succeeds in offering Disorder before the release of Apex Legends, the Chinese giant will have found a way to keep the fans of battle royale mobile shooters busy. As mentioned above, NetEase is not at its first attempt. The publisher had successively published three clones of PUBG before the release of PUBG Mobile. These three games had a definite impact on the company's financial health, with sales of $8.3 billion (2017-2018), a 41.6% increase over the previous year. Profits had fallen by 7.8%. A decrease attributed to higher R&D and marketing costs. NetEase has more than ever the technical means to produce a good Apex Legends Like in a few months. Just look at the App Store and Google Play to see the long list of battle royale games offered by the publisher since 2017 (Creative Destruction and Creative Destruction Advance, Knives Out, Cyber Hunter, Rules of survival, Survivor Royale, etc.). 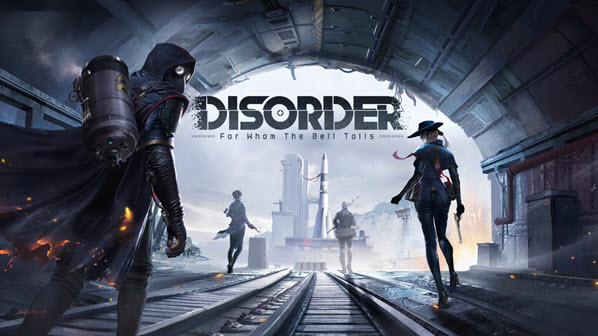 Remember that Disorder is a mobile game and that NetEase frees itself by default from the many technical constraints faced by Electronic Arts and Respawn Entertainment for the mobile version of Apex Legends (cross-play, optimization, playability, etc.). NetEase already has its own Android emulator for Windows and macOS and could eventually offer Disorder on PC and Mac. We probably shoot shots on the comet, because Disorder has not been officially characterized by NetEase as a battle royale game, but the publisher has proven to us over the past two years that he had more than one trick in his hand. Wait and see. Leave a comment for	the article Will Disorder be the first clone of Apex Legends Mobile?